INFORTREND ADDS TWO NEW MODELS TO EONNAS FAMILY OF UNIFIED STORAGE SYSTEMS – Throughwave (Thailand) Co.,Ltd. 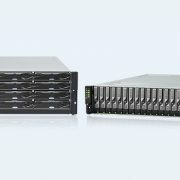 TAIPEI, Taiwan, May 3, 2011 – Infortrend® (Public TPE: 2495), the networked storage expert, today announced that it has added two new models to its EonNAS family of unified storage systems: the EonNAS 3210 and 3220. The new models are designed to meet the storage needs of SMBs, remote/branch offices and enterprise departments, and will complement the EonNAS 3200, Infortrend’s existing model for this market segment. The new models feature deduplication, ZFS data protection, and excellent scalability. As with all models in the EonNAS family, the new systems provide support for both file- and block-level applications, helping users easily consolidate their datacenter infrastructures. The deduplication feature on the EonNAS 3210 and 3220 systems ensures that all duplicated data on the systems is removed, freeing up capacity that would be otherwise unnecessarily filled. Users can thereby optimize capacity utilization and achieve significant cost reductions. Resource utilization on the EonNAS 3210 and 3220 is further optimized by thin provisioning. The feature-rich EonNAS 3210 and 3220 systems provide comprehensive data protection. ZFS offers end-to-end data integrity, eliminates silent data corruption and prevents data inconsistencies as a result of power outages. In addition, snapshot and replication functionalities help users efficiently create data copies to protect against potential threats, while RAID technology adds yet another layer of protection. 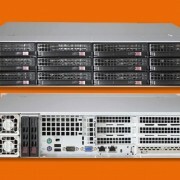 Furthermore, the EonNAS 3210 and 3220 are highly scalable. By simply adding expansion enclosures to the EonNAS systems, capacity can be expanded to a maximum of 72 drives, ensuring that the systems can accommodate future business growth. For more information, please visit www.infortrend.com. Infortrend®, ESVA®, EonStor®, SANWatch®, and EonPath® are trademarks or registered trademarks of Infortrend Technology, Inc. Other trademarks are the property of their respective owners.